Authentication provider StrikeForce Technologies Inc. will be launching a new mobile device security solution called MobileTrust. 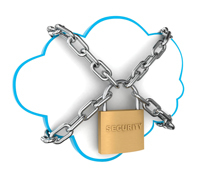 The product will help companies protect corporate data and credentials on mobile devices. MobileTrust will feature six security features for enterprise mobile users. The system will work with both Apple and Android devices to deliver a new approach to protecting vulnerable and sensitive corporate information from fraud, theft and malware. StrikeForce will introduce the new tool at the MobileCon 2012 conference on October 8-11 in San Diego, Calif.